Is that the good ole Kahler "Steeler" floyd? It’s actually an Original Floyd. Flush mount, non recessed. Ya this thing is super heavy. I agree, I’m not in love with the “classy looking ones”, I still prefer my Floyded, lawsuit headstock beater. Get em while you can! Nice old school Carvin! 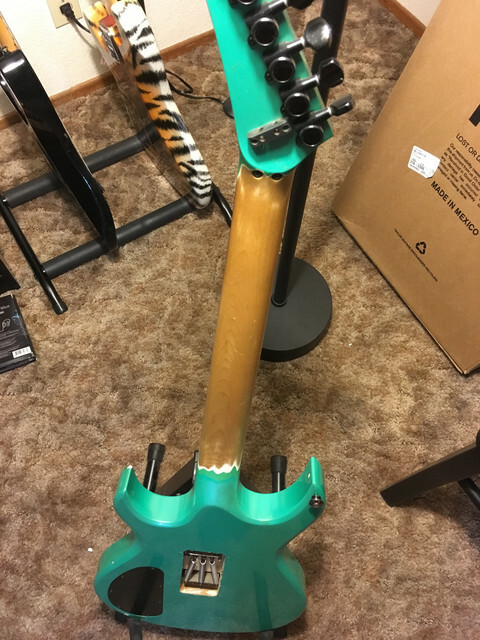 I love those 80s headstocks a lot. 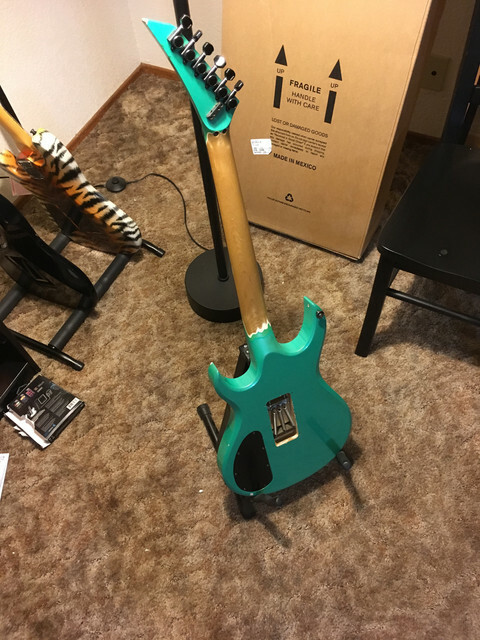 My RG7620 was the guitar that got me back into playing. I took a five year hiatus and got a raise at work. 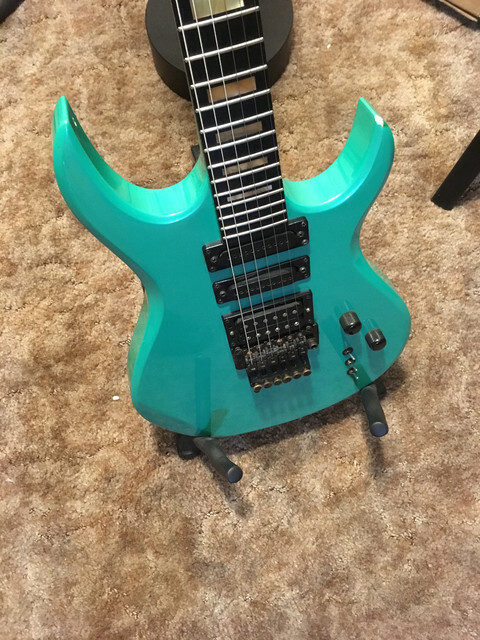 With the extra money I just bought that Ibanez on a whim, and it really drew me back in. 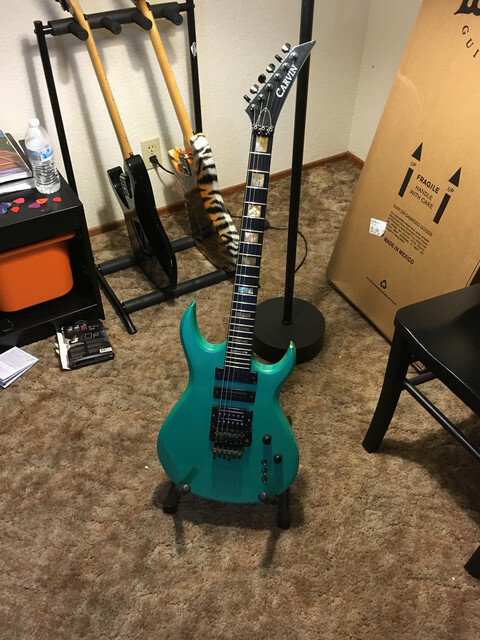 Here's the pic of it and my new Carvin I put in my NGD post. Was there a lawsuit going on back then? Jackson I guess? Yes, I believe it got yanked because they were being sued by Jackson. Very cool Queen Beef. 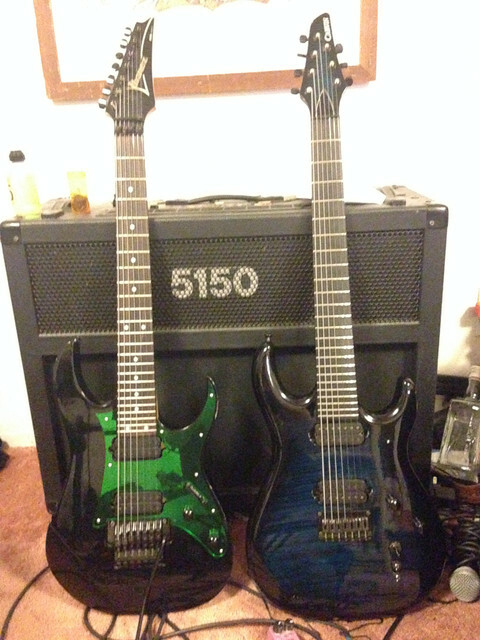 Did you custom order the Carvin? Or find it available on the web somewhere? charvey712 wrote: Yes, I believe it got yanked because they were being sued by Jackson.